Even if we are in a new Secular Bull Market, market history says future returns are likely to be modest at best. The CAPE is at 24.62, up from the prior week’s 24.24, after having earlier reached the level also reached at the pre-crash high in October, 2007. 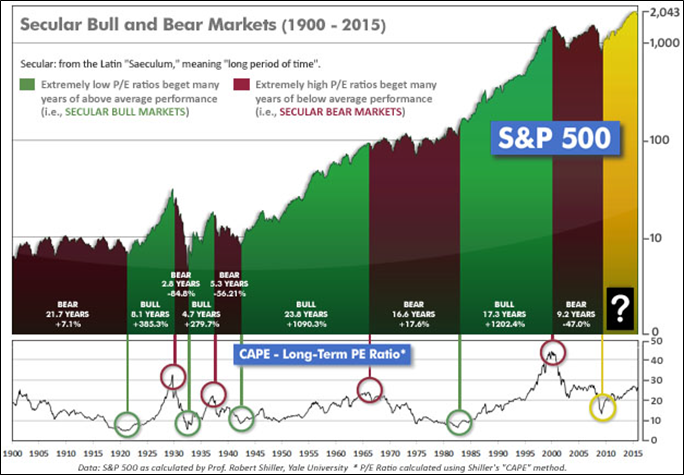 Since 1881, the average annual returns for all ten year periods that began with a CAPE around this level have been just 3%/yr (see graph below). The “big picture” is the months-to-years timeframe – the timeframe in which Cyclical Bulls and Bears operate. The U.S. Bull-Bear Indicator (see graph below) turned negative on January 15th, and remains in Cyclical Bear territory at 43.75 up from the prior week’s 40.78. The intermediate (weeks to months) indicator (see graph below) turned positive on January 26th. The indicator ended the week at 27, up sharply from the prior week’s 19. Separately, the quarter-by-quarter indicator – based on domestic and international stock trend status at the start of each quarter – gave a negative indication on the first day of January for the prospects for the first quarter of 2016. In the Secular (years to decades) timeframe (Figs. 1 & 2 above), whether we are in a new Secular Bull or still in the Secular Bear, the long-term valuation of the market is simply too high to sustain rip-roaring multi-year returns. 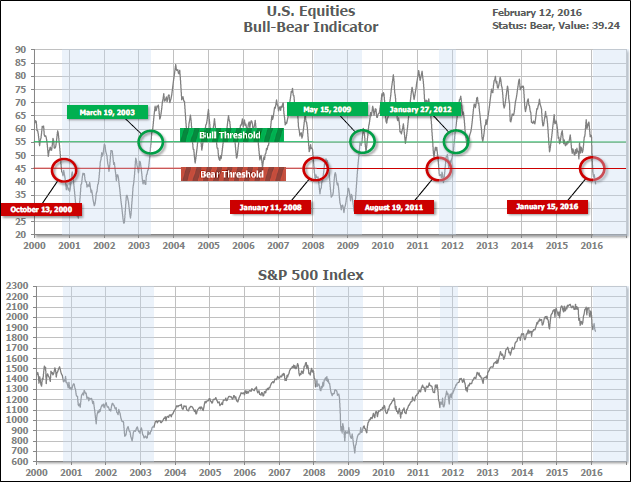 The Bull-Bear Indicator (months to years) is negative (Fig. 3 above), indicating a new Cyclical Bear has arrived. The Quarterly Trend Indicator (months to quarters) is negative, and the Intermediate (weeks to months) timeframe (Fig. 4 above) is positive. Therefore, with two of the three indicators negative, the U.S. equity markets are rated as Mostly Negative. All major U.S. indices were green as the stock market was able to manage a second consecutive weekly advance. The LargeCap S&P 500 climbed +1.6%, extending its two-week rally to +4.5% and is now up +0.4% for the month. The Dow Jones Industrial Average gained 247 points to end the week at 16,639, up +1.5%. MidCaps and SmallCaps also fared well as the S&P 400 MidCap index rose +2.7% and the SmallCap Russell 2000 index also gained 2.7%. The defensive Dow Jones Utilities barely managed a positive close, up just +0.07%, while the Dow Jones Transports added +1.63%. In international markets, Canada’s TSX was essentially flat, down just -0.12%. European markets were generally higher for the week in the +1.2 to +2.5% range, while major Asian markets were mixed, with the biggest loser being the China Shanghai Index, down -3.25%. Developed markets as a whole were flat for the week, and Emerging markets were down -0.6% on average for the week. In commodities, crude oil surged more than +10%, up +$3.12 to $32.84 on news of supply disruptions in Iraq and Nigeria. Precious metals lost their upward momentum as Gold ended the week at $1222.80 an ounce, down 0.31%, and silver plunged more than -4.3% to $14.69 an ounce. In U.S. economic news, GDP for the fourth quarter was revised upward to +1.0% growth by the Commerce Department, better than the +0.7% gain initially reported. For the year, the economy grew a very modest +2.4%, the same as in 2014. The report was a surprise to Wall Street, which had expected a downward revision. However on a not-so-positive note, the report reveals that the boost in growth resulted from a smaller decline in inventories and weaker imports. New claims for jobless benefits rose 10,000 to 272,000 last week, according to the Labor Department. 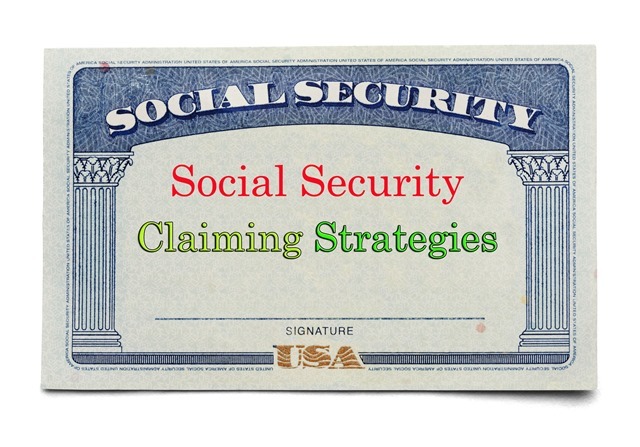 Continuing claims decreased 19,000 to 2.253 million. Despite the latest increase weekly initial claims remain in the lower half of the 250,000 to 300,000 range they have been in for 19 months. The National Association of Realtors reported that existing home sales rose in January to an annualized 5.47 million rate, a six month high. Home sales were up +11% from a year ago, the biggest annual gain since July, 2013. Sales were up +0.4% from last month. Nationally, the median home price rose +8.2% from a year ago, the largest since last spring. The S&P/Case-Shiller index showed year-over-year price gains of +5.7% in December, in its 20-city index. But new-home sales fell in January to a seasonally adjusted rate of 494,000 housing units, according to the Commerce Department. This was a bigger decline than economists had expected. New home sales fell -5.2% compared with a year earlier and are down -9.2% from December’s rate. The median sales price for new homes was $278,800, while the average sales price was $365,700. The median price is down -4.5% versus a year earlier, the biggest year-over-year decline since January 2012. The seasonally adjusted inventory of new homes for sale was 238,000, representing a supply of almost 6 months at the current rate. Consumer spending – the backbone of the U.S. economy – remains strong, rising +0.5% in January and beating analyst forecasts according to the Commerce Department. Personal income also beat projections rising +0.5%. The Federal Reserve’s favorite inflation gauge, the core personal consumption expenditures index, rose +0.3%, which was the biggest monthly gain in four years. The +1.7% annual gain for the personal consumption expenditures index was the most since July 2014, and nearing the Fed’s stated 2% target. Good news for manufacturing has been rare in recent months. We got some this week, in the form of orders for durable goods, which jumped +4.9% last month – the most in ten months and handily beating forecasts. Economists had been expecting a +2% gain. Year-over-year, durable goods orders rose a less-robust +0.6%. In international economic news, the Conference Board of Canada predicts little economic growth over the coming years for Canada. The report states that the global downturn in mineral prices has hit the Canadian economy particularly hard and it will be years before the territories regain their financial footing. In the Eurozone, the president of Germany’s Bundesbank gave a positive outlook for the global economy on Wednesday, but stated that “central banks shouldn’t be overburdened with creating economic growth.” “The global recovery is on track,” he added. His cheerleading speech followed a report Tuesday that showed German exports dropped -0.6% in the fourth quarter for the first time since 2012. Business sentiment in Germany fell to the lowest level in more than a year. In France, French Finance Minister Michel Sapin stated that the global economy faced a series of difficulties but described them as “surmountable”, and warned against investor overreaction – and against the UK exiting the European Union. In Asia, a long-standing issue facing the world’s third-largest economy – Japan – has finally manifested itself in a visible way. The official population of Japan as of Oct. 1 is 127.1 million, which is down by 947,000 or -0.75% from the previous census in 2010; this is the first-ever decline since the census started in 1920. Even during World War II the population rose. A UN report last year projected that Japan’s population would fall to about 83 million by 2100. The average number of children a Japanese woman will bear in a lifetime – just 1.42 as of 2014 – is far below the replacement rate of 2.1. It doesn’t help that Japan keeps a tight lid on immigration, which business leaders are calling to be loosened, but Prime Minister Shinzo Abe is showing no signs of changing existing policy. The Japanese census figures are likely to further Japan’s decades-long stagnation. From a government standpoint, further stimulus packages are likely. The declining Japanese population is particularly visible in many rural prefectures. While Tokyo’s population grew +2.7% from 2010 to 2015, the population in 39 of Japan’s 47 prefectures declined. Finally, Rob Arnott, the widely-followed financial guru and chairman of investing firm Research Affiliates, recently put out a rather striking research note exhorting investors to “dump quality stocks and buy value stocks”. He states that stocks that bear high-quality characteristics such as high profits, and strong balance sheets have now become too expensive in relation to the rest of the stock market. Meanwhile, value stocks, which traditionally mean boring companies with low future growth prospects but still cheap in relation to profits and dividends, are, according to Arnott, trading at a significant discount to historical norms. Arnott’s call is interesting given the fact that he is the best-known and one of the earliest proponents of “smart beta” investing, which targets known anomalies in market returns that favor low volatility, high quality, and higher momentum stocks, among other characteristics. So why did he put out the “sell quality” call? Perhaps because his proselytizing in favor of high quality has been too successful leading to too many buyers in this now-overcrowded space, and inviting a reversion to the mean. The ranking relationship (shown in Fig. 5) between the defensive SHUT sectors (“S”=Staples [a.k.a. consumer non-cyclical], “H”=Healthcare, “U”=Utilities and “T”=Telecom) and the offensive DIME sectors (“D”=Discretionary [a.k.a. Consumer Cyclical], “I”=Industrial, “M”=Materials, “E”=Energy), is one way to gauge institutional investor sentiment in the market. The average ranking of Defensive SHUT sectors rose to 8.0 from the prior week’s 8.8, while the average ranking of Offensive DIME sectors rose to 10.8 from the prior week’s 11.8. The Defensive SHUT sectors continued to lead the Offensive DIME sectors. Note: these are “ranks”, not “scores”, so smaller numbers are higher ranks and larger numbers are lower ranks. The US has led the worldwide recovery, and continues to be among the strongest of global markets. However, the over-arching Secular Bear Market may remain in place globally, despite the superior US performance. Because the world may still be in a Secular Bear, we have no expectations of runs of multiple double-digit consecutive years, and we expect poor market conditions to be a frequent occurrence. Nonetheless, we remain completely open to any eventuality that the market brings, and our strategies, tactics and tools will help us to successfully navigate whatever happens. Even if we are in a new Secular Bull Market, market history says future returns are likely to be modest at best. The CAPE is at 24.24, up from the prior week’s 23.61, after having earlier reached the level also reached at the pre-crash high in October, 2007. Since 1881, the average annual returns for all ten year periods that began with a CAPE around this level have been just 3%/yr (see graph below). The “big picture” is the months-to-years timeframe – the timeframe in which Cyclical Bulls and Bears operate. The U.S. Bull-Bear Indicator (see graph below) turned negative on January 15th, and remains in Cyclical Bear territory at 40.78, up from the prior week’s 39.24. The intermediate (weeks to months) indicator (see graph below) turned positive on January 26th. The indicator ended the week at 19, up sharply from the prior week’s 8. Separately, the quarter-by-quarter indicator – based on domestic and international stock trend status at the start of each quarter – gave a negative indication on the first day of January for the prospects for the first quarter of 2016. Stocks bounced back from 2 weeks of losses with the S&P 500 managing strong gains the first 2 trading days of the holiday-shortened week. All major indexes were in the green with the Dow Jones Industrial Average rising 418 points to 16,391, up +2.6%. 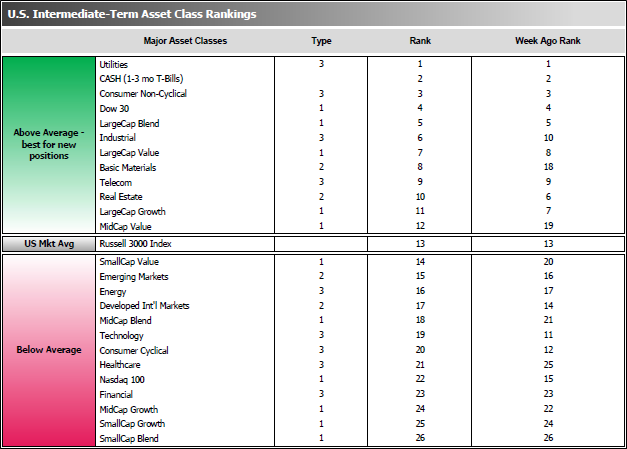 SmallCaps and MidCaps outperformed LargeCaps, as did technology. The LargeCap S&P 500 index rose +2.85%, the MidCap S&P 400 gained +3.47%, the SmallCap Russell 2000 surged +3.9%, and the tech-heavy Nasdaq 100 advanced +3.6%. In international markets, Canada’s TSX rose +3.49% with the help of strong gains in the important energy sector. Major European and Asian markets were strong across the board, too, as the United Kingdom’s FTSE 100 surged +4.25%, Germany’s DAX jumped +4.69%, and France’s CAC 40 rallied +5.7%. In Asia, China’s Shanghai Stock Exchange rose +3.49%, Japan’s Nikkei surged +6.79%, and Hong Kong’s Hang Seng enjoyed a +5.7% gain. In commodities, the industrial metal copper gained +2.29%, but precious metals declined slightly as Gold declined $11.90 an ounce to $1,226.60. Silver, the more volatile of the two, retreated 2.75% to $15.36 an ounce. Oil had a big week as rumors circulated that Saudi Arabia, Russia, and Venezuela had agreed to freeze oil output and that Iran is also considering joining the effort. Oil rallied over +10%, up $2.94 to $31.96 a barrel. In U.S. economic news, initial claims for jobless benefits fell 7,000 to 262,000 last week, the lowest since November and a rate consistent with a healthy job market, according to the Labor Department. The smoothed four week average fell 8,000 to 273,250. However, analysts at TrimTabs Investment Research have dug deeper into a different metric, and what they have found is concerning. The growth of federal income and employment tax withholdings has been dropping at an alarming rate. For most of last year, tax withholdings had been rising at a rate of +5% versus the year ago period. Revenue inflows to the Treasury Department began to steadily decline through last fall, bringing the annual growth rate to just below +4% by the beginning of this year. From the beginning of this year, growth has been just +1.8%, far less than the +5% gains a year ago. “The slower pace of year over year gains in tax withholdings has pointed to a significantly slower pace of hiring since September,” says TrimTabs Investment Research, which estimates that 820,000 jobs were added from September to January. In contrast, the Labor Department estimates 1.137 million new jobs were added over that span, or almost 40% more. The National Association of Home Builders reported single-family home construction starts fell -3.9% in January to an annualized 731,000. This is an increase of +3.5% versus a year ago. Multi-family starts were down -2.5% for the month and down -3.8% annualized. Homebuilder sentiment slipped to a nine month low. On a positive note, building permits were up +13.5% from year ago. Single-family permits were down -1.6% last month, but remain +9.6% above year ago levels. Housing starts fell more than expected in January, declining -3.8% to an annualized 1.099 million, according to the Commerce Department. Housing permits, an indicator of future building activity, beat expectations by declining only -0.2% to 1.202 million. The Mortgage Bankers Association reported that the 30 year fixed-rate mortgage stands at just 3.83%, the lowest since last April. Core U.S. consumer prices, which exclude food and energy, rose +0.3% in January, up +2.2% from year ago. This is the fastest annual rise since June 2012, according to the Labor Department. Overall prices were unchanged for the month and up +1.4% from year ago. Core prices were driven by gains in the cost of medical care, health insurance and housing. Health insurance costs rose +1.1% for the month and are up +4.8% from year ago, the largest increase in nearly three years. US-wide industrial production recovered much more strongly than expected in January, up +0.9%, according to the Federal Reserve. The gain was led by a +5.4% jump in utilities output. Factory activity returned to growth, up +0.5% after falling the two previous months. Mining output, which includes oil drilling, was flat last month, and down -9.8% versus a year earlier. Many regional manufacturing reports continue to be poor, however. The New York Federal Reserve’s Empire state manufacturing index improved less than expected from January’s worst reading since the Great Recession. Overall business conditions improved to -16.6 from -19, however this is still the second worst reading since 2009. New orders and shipments remained firmly in negative territory, suggesting continued contraction. Likewise, the Philadelphia Fed Manufacturing Index remains in contraction but improved to -2.8 from -3.5. Shipments increased, but new orders fell 4 points to -5.3. The employment index fell to -5 from -1.9, the lowest since May 2013. The inventory gauge fell further, suggesting that manufacturers continue to deplete stocks of goods. The business outlook index fell to its lowest level since November 2012. In Canada, the Canadian dollar’s sharp drop over the past year is beginning to stoke inflation. The consumer price index rose +2% in January from the same time last year, according to Statistics Canada. It is now at its highest level since November of 2014 and approaching the central bank’s target, and puts the Canadian central bank in a difficult position as it has been attempting to prop up growth with low borrowing costs. In the Eurozone, an interesting fact came to light last week: the United States became the top destination for German exports in 2015, the first time since 1961 that the U.S. has held that spot. Analysts believe that an upturn in the U.S. economy and a weaker euro led to the change. In France, Christine Lagarde who managed a tumultuous first term as Managing Director of the International Monetary Fund was officially named to a new term at the global emergency lender. Lagarde’s second five years is not anticipated to be any quieter than her first term. Finally, much has been written in recent years along the lines of “if this is an expansion, why does it feel like we’re still in a recession?” Young people and low-wage workers in particular have felt this way. One answer is that the expansion in the years since the recent recession has been very weak, and nothing like the expansions that have followed many other recessions. For example, President Ronald Reagan took office in 1981 in the midst of raging inflation and a deep recession. Similarly, President Barack Obama took office in 2009 in the midst of the recent global financial crisis. President Reagan’s first 7 years in office averaged +7.9% GDP growth, while President Obama’s first 7 years in office have averaged less than half as much, at +2.9%. The worst year of GDP growth in Pres. Reagan’s first 7 years, at +4.2%, was greater than the best year of growth under Pres. Obama’s first 7 years, which was +4.1%. The recovery during President Obama’s tenure has been so comparatively anemic that the “why does it feel like we’re still in a recession” question becomes much more understandable. The ranking relationship (shown in Fig. 5) between the defensive SHUT sectors (“S”=Staples [a.k.a. consumer non-cyclical], “H”=Healthcare, “U”=Utilities and “T”=Telecom) and the offensive DIME sectors (“D”=Discretionary [a.k.a. Consumer Cyclical], “I”=Industrial, “M”=Materials, “E”=Energy), is one way to gauge institutional investor sentiment in the market. The average ranking of Defensive SHUT sectors fell slightly to 8.8 from the prior week’s 8.5, while the average ranking of Offensive DIME sectors rose to 11.8 from the prior week’s 12.5. The Defensive SHUT sectors continued to lead the Offensive DIME sectors, but by a much-narrowed margin. Note: these are “ranks”, not “scores”, so smaller numbers are higher ranks and larger numbers are lower ranks. What are in-service, non-hardship employee withdrawals? Some companies allow active employees participating in a qualified employer retirement plan like a 401(k) to withdraw a portion of their plan’s account balance upon request, without demonstrating a specific financial need. Let’s face it–some 401(k) plans are bad: the fees are high, the investment choices are slim, and your ability to customize your investment process within your company’s 401(k) structure is limited. People naturally ask if there’s a way to take the money out of the plan and place it into their own account. We all know when you leave your job, you can. 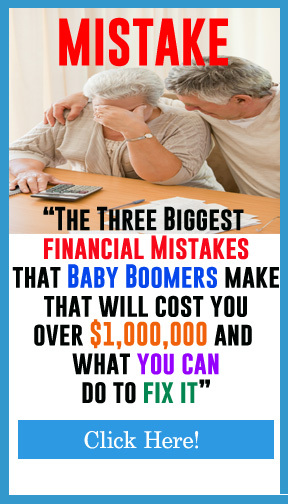 It’s called a 401(k) rollover. In most cases you should do a rollover as soon as you leave your employer. This gives you greater control over your fees, taxes, expenses, and the risk that you’re exposed to. Can you take money out without leaving your job? Some plans do allow it. It’s called an “in-service withdrawal” or an “in-service distribution.” In service means you are still working for the employer sponsoring the plan. Because some plans allow it you should ask your plan administrator if it is an option. When should you consider in-service, non-hardship employee withdrawals? One reason you should consider them is that, by rolling over your employer-sponsored retirement plan assets to a rollover IRA, you may be able to significantly expand your investment choices if you have limited choices in your employer sponsored retirement plan. A nontaxable rollover of your plan assets to an IRA would also provide you with greater freedom to work with your customized retirement income plan. If an employer-sponsored retirement plan permits in- service, non-hardship employee withdrawals, participants often must meet certain requirements. Plan guidelines may include a minimum age restriction (usually age 59 1/2), a length-of-service requirement (often two or five years) or both. Employer-sponsored retirement plans often limit these withdrawals to vested employer matching contributions, plus earnings, as well as rollovers and earnings from previous employer plans. Some plans allow employees age 59 1/2 and older to withdraw their entire balance without any further restrictions. Many plans require spousal consent for in-service withdrawals so you should check with your plan sponsor as your spouse may have to provide consent in writing. Which plans permit in-service, non-hardship employee withdrawals? 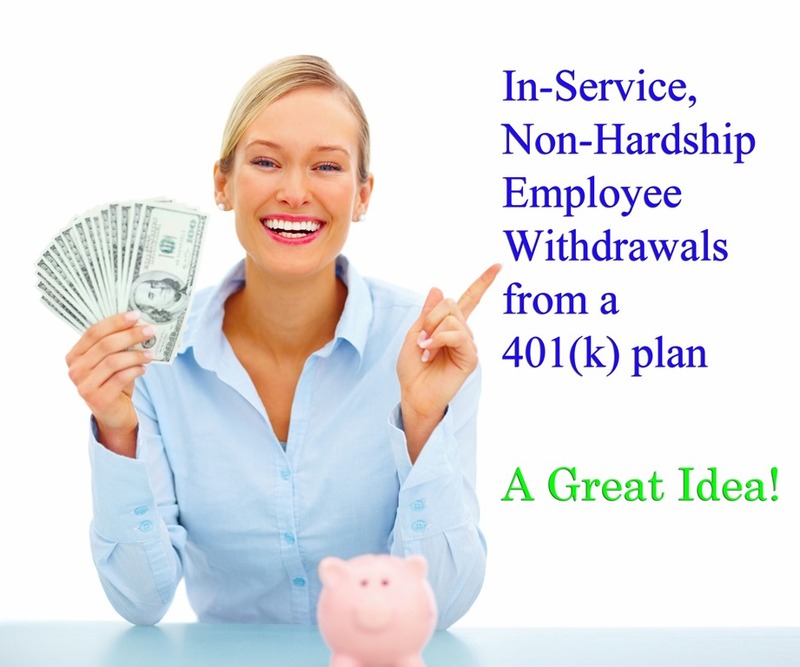 Profit-sharing, 401(k), stock bonus and employee stock ownership plans usually allow in-service, non- hardship employee withdrawals. Cash balance, target benefit and money purchase plans may permit them for employees who have reached the plan’s normal retirement age. Defined benefit plans usually do not allow them. Which plan assets are eligible for these withdrawals? What investment options are available for the assets you withdraw? FBIAS portfolios aren’t limited by the silly trading restrictions that most 401(k) plans have, this means that you can reallocate your hard earned retirement monies into a risk-managed portfolio to put yourself in a potentially better situation to profit in bull markets and more importantly, protect profits in bear markets. What rules and potential issues should you consider before you take an in-service, non-hardship withdrawal? • Some investments can be rolled over in kind while others may not be eligible. • Companies may impose penalties, including charges and suspension of plan contributions, on participants for making these withdrawals. • Asset liquidation may result in penalties (e.g., early surrender of annuity contracts). • By removing assets from your employer-sponsored plan, you may lose protection of those assets from creditors. • While loans frequently are permitted in employer retirement plans, they are not allowed in IRAs. • Determine if the assets from the in-service, non- hard- ship withdrawal are pre-tax contributions or earnings from the account. This can have major tax implications. 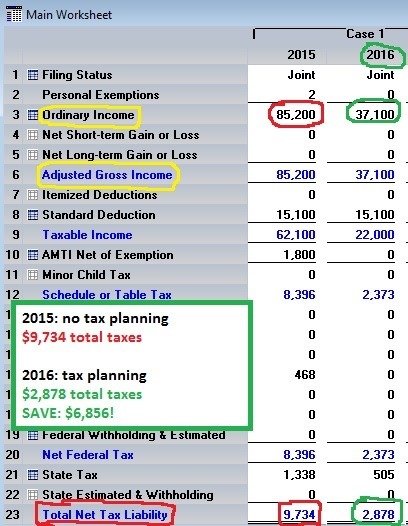 • You will not have the ability to use a Net Unrealized Appreciation (NUA) strategy if employer stock is rolled into an IRA. 1. Which assets are eligible? 2. How much you can withdraw? 3. Does the plan imposes penalties, including suspensions or deferrals of company contributions, for these withdrawals? 4. What are the processing requirements and distribution timelines? • Contact your tax advisor to discuss the potential tax implications of taking these withdrawals. 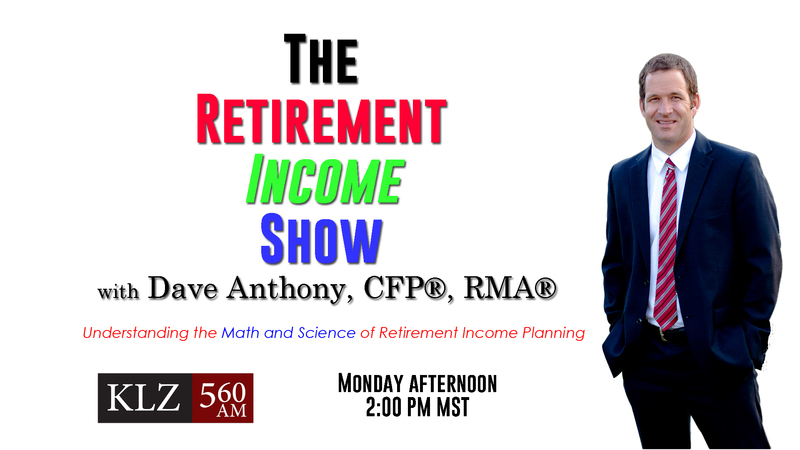 • Contact your Anthony Capital advisor to help you evaluate your options and to help you fill out the transfer forms to complete the rollover to an IRA. How do in-service, non-hardship employee withdrawals fit in to your total financial picture? In-service, non-hardship employee withdrawals, if permitted by your employer-sponsored retirement plan, allow you to make withdrawals upon request and roll over the assets to a rollover IRA, which usually offers more investment choices and improved beneficiary options compared with an employer plan. Your Anthony Capital advisor can help you integrate these withdrawals with your retirement, estate and investment strategies to help you meet your overall financial goals. Is it worth the hassle? Why not just leave everything the way it is? 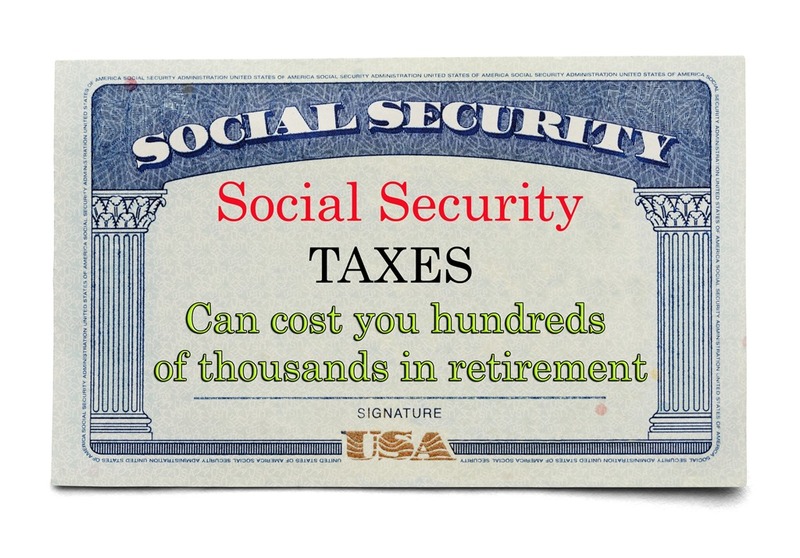 If you’re over age 59 1/2, and the in-service withdrawal option is available, your decision to take advantage of it and roll your monies over to an IRA in your name could be profound. Ask the pre-retirees who had monies in their 401(k) plans in 2008, when the market crashed and they lost 50%. FBIAS portfolios at Anthony Capital are actively managed, and the five Core Blend portfolios made anywhere from 12%-36% during 2008, plus they typically have 1/2 the fees and expenses of most 401(k) plans. INVESTMENT HINT: Having a portfolio will less fees and expenses is good. Take charge, take control, reduce risk, increase returns. You can learn more about other Anthony Capital services at www.AnthonyCap.com. Any information presented about tax considerations affecting your financial transactions or arrangements is not intended as tax advice and cannot be relied on to avoid any tax penalties. Neither Anthony Capital nor its Financial Advisors provide tax, accounting or legal advice. You should review any planned financial transactions with your accountant. 1 A direct rollover must be completed within 60 days after receiving the distribution. A distribution will be subject to 20% mandatory income tax withholding unless directly rolled over to an IRA 2 Asset allocation does not assure a profit or protect against a loss in declining markets. Even if we are in a new Secular Bull Market, market history says future returns are likely to be modest at best. The CAPE is at 23.61, down from the prior week’s 23.80, after having earlier reached the level also reached at the pre-crash high in October, 2007. Since 1881, the average annual returns for all ten year periods that began with a CAPE around this level have been just 3%/yr (see Fig. 2). The “big picture” is the months-to-years timeframe – the timeframe in which Cyclical Bulls and Bears operate. The U.S. Bull-Bear Indicator (see Fig. 3) turned negative on January 15th, and remains in Cyclical Bear territory at 39.24, down from the prior week’s 41.15. The intermediate (weeks to months) indicator (see Fig. 4) turned positive on January 26th. The indicator ended the week at 8, down from the prior week’s 12. Separately, the quarter-by-quarter indicator – based on domestic and international stock trend status at the start of each quarter – gave a negative indication on the first day of January for the prospects for the first quarter of 2016. In the Secular (years to decades) timeframe (Figs. 1 & 2), whether we are in a new Secular Bull or still in the Secular Bear, the long-term valuation of the market is simply too high to sustain rip-roaring multi-year returns. The Bull-Bear Indicator (months to years) is negative (Fig. 3), indicating a new Cyclical Bear has arrived. The Quarterly Trend Indicator (months to quarters) is negative, and the Intermediate (weeks to months) timeframe (Fig. 4) is positive. Therefore, with two of the three indicators negative, the U.S. equity markets are rated as Mostly Negative. A sharp late-week rally wasn’t enough to reverse U.S. market declines for the week as the Dow Jones Industrial Average ended the week down -1.43%, despite a 314 point rally on Friday. Similarly, the S&P 500 LargeCap index declined -0.81%, the S&P 400 MidCap gave up -1.36%, and the SmallCap Russell 2000 lost -1.38%. Dow Transports bucked the trend and gained +1.52% but Dow Utilities, the leading year-to-date sector, ended the week down ‑2.2%. In international markets, almost all major indices were negative with Japan the biggest loser, plunging -11.1%. In North America, Canada’s TSX declined -3%. European markets also had a difficult week as the Netherlands dropped -5.4%, France’s CAC 40 declined -4.89%, Germany’s DAX pulled back -3.43%, and the United Kingdom’s FTSE declined -2.4%. In commodities, precious metals shone brightly as Gold gained +$64.40 an ounce to end the week at $1,238.50, up +5.49%. Silver added +$0.76 to $15.79, up 5.06%. Crude oil ended the week at $29.02, down -6.39%, despite a huge +10.7% rally on Friday. In U.S. economic news, initial claims for jobless benefits fell 16,000 last week to 269,000, a bigger decline than expected and the lowest reading this year. Jobless claims have now remained below 300,000 for almost a year. Despite financial markets seemingly signaling trouble ahead for the U.S. economy, the labor market remains resilient. Continuing jobless claims remain near long-term lows of 2.239 million. The Labor Department’s “Job Openings and Labor Turnover Survey” (JOLTS) report showed openings rose to 5.6 million in December, up 250,000 from November. Hires climbed to 5.36 million from November’s 5.26 million, the highest reading since the fall of 2004. The number of people quitting their jobs hit a 10-year high of 3.06 million, up 200,000 from the previous month, indicating a higher level of worker confidence in their ability to find better jobs. U.S. retail sales rose a better-than-expected +0.2% in January, according to the Commerce Department. Core sales (ex-autos, restaurants, and building supplies) rose +0.6%. Non-store retailers such as Amazon outperformed all retail segments with a +1.6% gain, up +8.7% annually. Import prices continue to fall, down -1.1% last month, matching the decline seen in December. Expectations had been for a greater drop. Year-over-year, import prices declined -6.2%. Export prices also fell, down -0.8% on the month and down -5.7% from a year ago. Despite all predictions to the contrary, mortgage rates fell below 4% again and mortgage applications surged +9.3% last week. Purchase applications were little changed, but refinancing demand hit a one-year high, up +15.8%. Small business sentiment fell to its lowest level in nearly 2 years, said the National Federation of Independent Business (NFIB). NFIB’s small business optimism index fell -1.3 points to 93.9, continuing a downtrend for over a year and the lowest since February of 2014. In the NFIB report, 21% of small business owners see economic conditions worsening—the lowest business conditions outlook since late 2013. Despite weaker readings in credit conditions, earnings trends, and sales a net 27% of companies raised compensation—the highest reading since 2007. A large part of the rise in compensation was due to the minimum wage hikes that took effect in 14 states on January 1st, pushing up labor costs. The broader labor issue remains that small businesses continue to have difficulty finding qualified candidates. A full 29% of businesses report having job openings and 45% reported few or no qualified candidates. New York Federal Reserve President William Dudley said key sectors of the U.S. economy are in good shape and more resilient. He stated that the financial system is stronger with banks better capitalized and that household balance sheets are in much better shape. He reiterated Fed Chair Janet Yellen’s statement that economic expansions don’t die of “old age”. In Canada, the Bank of Canada is selling off most of its remaining gold reserves, mainly by selling gold coins. The country held just US$19 million worth of gold as of last Monday. For most of last year, the country’s gold reserves stood at more than US$100 million. In the Eurozone, the economy grew 0.3% in the 4th quarter—matching forecasters’ views. Among the larger countries, Spain gained +0.8%, its 2nd significant quarterly gain. Germany and France rose +0.3%, and Italy managed a +0.1% gain. In Germany, industrial production declined, widely missing analyst expectations of a +0.5% gain. German production fell -2.3%, the worst since October 2012. Capital goods production declined -2.6%, consumer goods fell -1.4%, and energy-related production decreased by -3%. Around the world, Central Banks have been using the tools at their disposal to spur economic growth in their respective zones. The Bank of Japan surprised markets two weeks ago by adopting a negative interest rate on bank funds deposited with the central bank—the idea being that it would get the banks to stop hoarding reserves and force them to put that money to work. Instead, banks appear to have used the money to purchase Japanese government bonds which remain in such high demand that the 10-year bond yield went negative for the first time this week. Since then, Japanese bank stocks have plunged -25%. European Central Bank President Mario Draghi once more pledged to do “whatever it takes”, and further backed it up with a claim that there are “no limits” to how far the ECB will go to avoid a Eurozone breakup and to spur economic growth. Nonetheless, European bank stocks have plunged -60% over the past year. Finally, with oil selling at less than $30/barrel and the US’ major oil terminal at Cushing OK almost to full capacity, let’s revisit the “Peak Oil” scare of just a couple of decades ago. Peak oil is an event based on geologist M. King Hubbert’s theory that there is a point in time when the maximum rate of extraction of petroleum is reached, and after that point the rate of petroleum extraction begins a terminal decline, ending in the destruction of our oil-based economy. Indeed, petroleum production for the lower 48 states of the United States did reach a peak in early 1970 and then began a multi-decade decline. However, the dramatic increases in production since 2010 have reversed the decline, and pushed total production back to within spitting distance of that 1970 peak. Hydraulic fracturing, the ability of refiners to process oil shale and oil sands, and new advanced drilling techniques that are able to breathe new life into old oil fields have all served to dramatically increase North American oil production and have essentially reversed the phenomenon of “Peak oil”. The ranking relationship (shown in Fig. 5) between the defensive SHUT sectors (“S”=Staples [a.k.a. consumer non-cyclical], “H”=Healthcare, “U”=Utilities and “T”=Telecom) and the offensive DIME sectors (“D”=Discretionary [a.k.a. Consumer Cyclical], “I”=Industrial, “M”=Materials, “E”=Energy), is one way to gauge institutional investor sentiment in the market. The average ranking of Defensive SHUT sectors rose to 8.5 from the prior week’s 9.5, while the average ranking of Offensive DIME sectors rose to 12.5 from the prior week’s 14.3. The Defensive SHUT sectors continued to lead the Offensive DIME sectors. Note: these are “ranks”, not “scores”, so smaller numbers are higher ranks and larger numbers are lower ranks. Even if we are in a new Secular Bull Market, market history says future returns are likely to be modest at best. The CAPE is at 23.61, down from the prior week’s 23.80, after having earlier reached the level also reached at the pre-crash high in October, 2007. 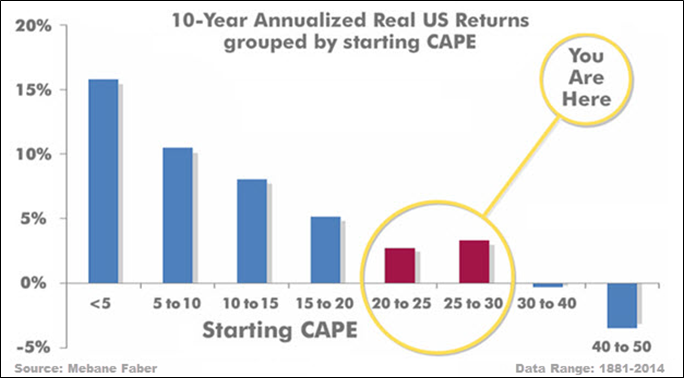 Since 1881, the average annual returns for all ten year periods that began with a CAPE around this level have been just 3%/yr (see graph below). The “big picture” is the months-to-years timeframe – the timeframe in which Cyclical Bulls and Bears operate. The U.S. Bull-Bear Indicator (see graph below) turned negative on January 15th, and remains in Cyclical Bear territory at 39.24, down from the prior week’s 41.15. The intermediate (weeks to months) indicator (see graph below) turned positive on January 26th. The indicator ended the week at 8, down from the prior week’s 12. Separately, the quarter-by-quarter indicator – based on domestic and international stock trend status at the start of each quarter – gave a negative indication on the first day of January for the prospects for the first quarter of 2016. A sharp late-week rally wasn’t enough to reverse U.S. market declines for the week as the Dow Jones Industrial Average ended the week down -1.43%, despite a 314 point rally on Friday. Similarly, the S&P 500 LargeCap index declined -0.81%, the S&P 400 MidCap gave up -1.36%, and the SmallCap Russell 2000 lost -1.38%. Dow Transports bucked the trend and gained +1.52% but Dow Utilities, the leading year-to-date sector, ended the week down 2.2%. If you have any questions about the FBIAS™ Fact-Based Investment Allocation Strategy portfolios, feel free to give your Anthony Capital, LLC advisor a call at 303-734-7178 or schedule a private virtual meeting/conference call. We work with clients from all over the country and would be happy to help.